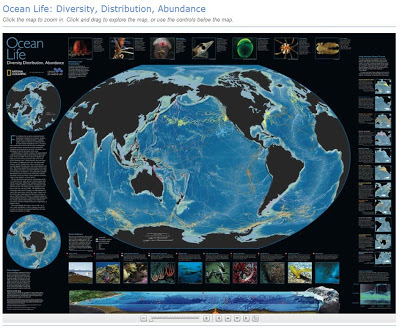 The Census of Marine Life is a global network of researchers in more than 80 nations engaged in a 10-year scientific initiative to assess and explain the diversity, distribution, and abundance of life in the oceans. 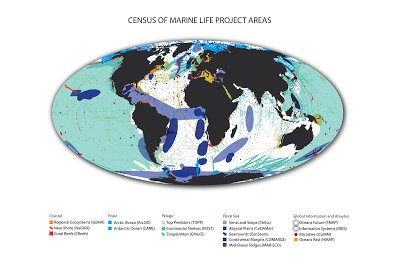 The world’s first comprehensive census of the past, present, and future of life in the oceans is being released in 2010. 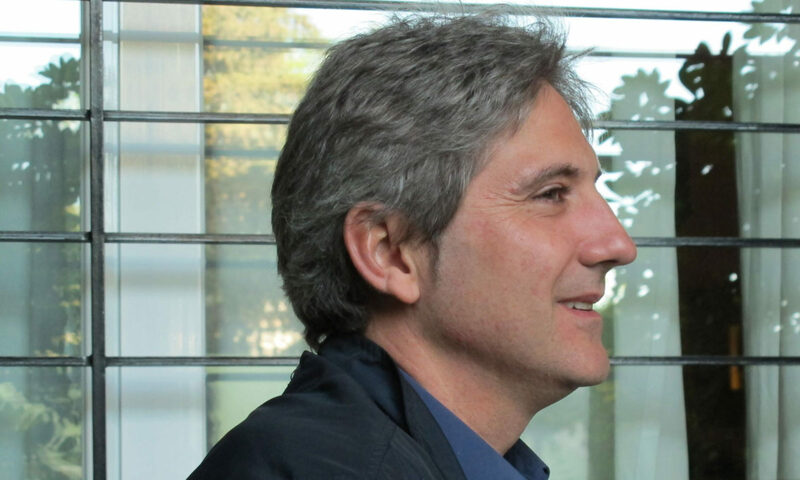 The Mapping and Visualization Team based at Duke University’s Marine Geospatial Ecology Lab is responsible for developing and sharing methods to display the results of the ten-year Census of Marine Life. Most Census projects are developing their own maps and visualizations. The following images highlight a variety of maps and visualizations resources produced by the Census projects. Additional information can be found on each individual Census project website.